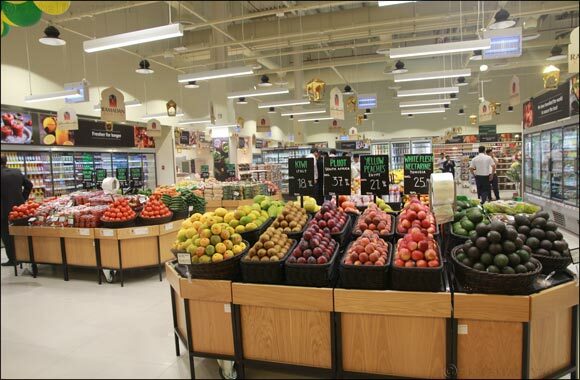 UAE, 16 May 2018: Spinneys will highlight the growing importance of UAE food and drink producers this Ramadan as the company’s relationship with them goes from strength to strength. The locally-owned supermarket chain has hundreds of locally produced products on their shelves from fresh fish to organic vegetables, camel milk chocolate to juices. The commercial team at Spinneys, under the guidance of Spinneys CEO, Matthew Frost, work closely with local suppliers to identify gaps in the current range and to develop products that suit the UAE consumer and meet with the quality standards expected by the Spinneys customers. This year the team also developed an exclusive Ramadan range, which is a first for this market. Spinneys Dubai CEO, Matthew Frost, comments: “This is my first Ramadan in the UAE and I have found it fascinating to learn more about the Holy Month. Having such an experienced group to plan with and learn from, as well as the influence of having local ownership, means we are blessed with a strong understanding of the culture and community needs at this time of year to ensure our range of products and the way we run our stores is aligned to those needs. “This year our message is ‘Share the Goodness’ and as part of this, we will be highlighting all of the local goodness right here in the UAE as we showcase our vast range of local ingredients and partners. Savour sustainable quality fish such as seabass, seabream and hammour from Fish Farm, a fish farm pioneering aquaculture business based in Dubai. The company, which comprises facilities in Jebel Ali and Dibba, aims to minimise the effect it has on the environment. Farming local species allows Fish Farm to use its resources to help relieve the pressure on regional fish stocks and to support the community. Al Dahra is an Abu Dhabi-based leader in fresh dairy products such as premium feta cheese, halloumi and labneh; the company is working with strategic partners and is spearheading the UAE government’s long-term agenda to execute its food security and water preservation programme. camel milk, laban, coffee camel milk drinks and camel milk powder. Another world first comes from its sister company, Al Nassma Chocolate LLC, a local camel-milk chocolate factory based in Dubai. The company produces chocolate which contains up to 50 per cent less fat and up to five times more vitamin C than cow’s milk. Have a healthy and hydrating iftar with fresh and cold-pressed juices supplied by Fit Fresh, famous in the region for its healthy alternatives of fresh drinks made from premium-quality fruits and vegetables. Fit Fresh keeps things local by growing up to 30 per cent of its raw produce to order and delivering direct. The company was set up in 2004 and has seen a huge increase in demand for healthy alternatives to soft drinks in recent years. With Ramadan being a time for reflection, there is no better time to make this year a ‘Sustainable Ramadan’. As part of its commitment to sustainable sourcing, Spinneys works with a select group of growers who follow sustainable farming to form the Spinneys UAE Farmer's Club. They harvest and deliver their fresh produce within 24 hours with minimal travel. Spinneys recognises that the majority of food wastage happens on the farm (over 30 per cent) and in people’s homes (over 40 per cent) which is why every member of the Spinneys Farmer’s Club is dedicated to driving and developing better sustainable farming production standards in the UAE. To prevent edible food from being discarded Spinneys recently announced the launch of its ‘Naturally Imperfect’ range – a selection of aesthetically imperfect products, which would never usually make it onto the shelves.